Enjoy a number of excellent benefits when you rely on our experts for tax planning in Conroe, TX. Whether you require tax planning-strategies for an individual or a business, trust in Pierson & Pierson, CPA'S PLLC. We serve our clients with tax services to help them make the most of cash flow, while keeping tax liabilities to a minimum. For more than 28 years, the CPA who leads our accounting firm has been providing tax, auditing, CPA, and accounting services to residents of Conroe, Houston, The Woodlands, Spring, and Kingwood, Texas, and the surrounding areas. 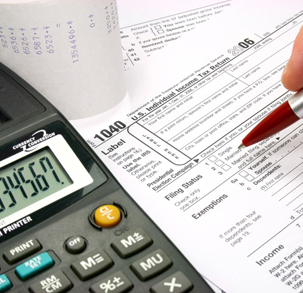 Let us help you plan for the future with our comprehensive knowledge of the tax code. Provide for your loved ones after you have passed on with trust/estate tax planning. Our tax professionals work with your estate planner to anticipate the taxes that will be owed on your estate. We find a method that enables you to pay for this tax in a way that your family does not lose a sizeable part of their inheritance to taxes. Let us ease your burden and give you peace of mind knowing that your family can live comfortably after your death. Our tax professionals possess comprehensive knowledge of the tax code and how it applies to your business operation. We put our knowledge to good use by finding ways to reduce your tax burden. You can then put that money back into your company to increase profitability. Put your company on sound financial footing now and in the future with our corporate tax planning service. Count on us for individual tax planning that reduces the amount of taxes you pay and increases your opportunity for a substantial refund. The tax code contains many rules that work to the advantage of individuals. However, most people are not aware of these deductions. We are fully aware of every aspect of the tax code, and we take that into consideration in your financial planning. Contact us today to come up with strategies that reduce your taxes. We provide tax preparation and bookkeeping, as well as financial and accounting services for residents of Conroe, Houston, The Woodlands, Spring, Tomball, Montgomery, Magnolia and Kingwood, Texas.